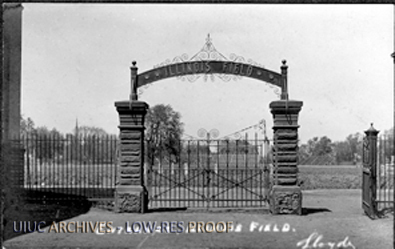 When the University of Illinois opened it's doors in March of 1868, athletics had no part of student life or culture. Baseball teams were soon organized, and in the 1870s rugby gained popularity, but it wasn't until 1876 that the first football game was played by Ethan Philbrick and other students (Solberg 2000, 357). "Can not foot-ball be revived among us? There is a woful need of some such game to call forth the energy and enthusiasm of all the students. The only game which finds favor here is base-ball...while there are a few excellent base-ball players there are a great many who know nothing of the game, and even if they did would have no opportunity to play. During most of the college year, also, the weather is not suitable for the playing of base-ball. On the other hand, a very large number may play foot-ball at the same time...No one has to wait for his turn. Great skill is not requisite for successful playing; all that is required is boldness and endurance" (Illini 1880). In 1890, a student named Scott Williams tried to organize a football team, of which he was the coach, manager, and captain. The Athletic Association, a student organization, gave the players permission to represent the University in competition (Solberg 2000, 357). The University lost its first intercollegiate football game to Illinois Wesleyan 16-0. 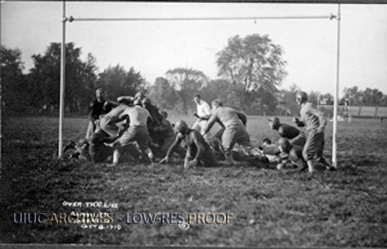 The Illini reported "The Wesleyans do nothing else but play football in the way of outdoor sports so they had the advantage over the U. of I. boys" (Illini 1890). Undeterred, students, faculty, and alumni who were passionate about sports and football continued to pursue a football team at the University. Scott Williams invited Robert A. Lackey, a star player from Purdue University to assume coaching responsibilities. Lackey accepted the position out of a desire to form a Kappa Sigma fraternity chapter in Urbana, and was instrumental in the development of a winning team (Solberg 2000, 358). The Athletic Association soon after petitioned the Board of Trustees for a new athletic field, and was granted permission and $350 to develop part of the north campus for this purpose. More fundraising was needed to complete the field, but on May 15th, 1892 Athletic Park was inaugurated. In 1896 the name was changed to Illinois Field (Solberg 2000, 358). 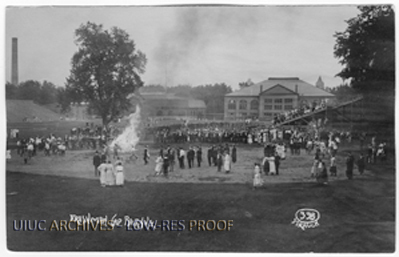 Illinois Field was located along Wright St. between Springfield and University Avenues, and by 1914 seated only 4,000 fans. Additions made to the stadium expanded seating to 17,000. 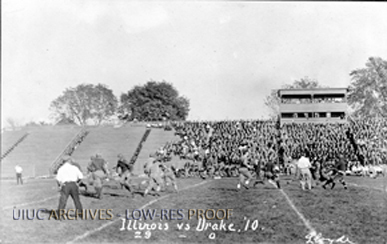 However, as football at the University of Illinois grew exponentially under athletic director George Huff and coach Robert C. Zuppke, it soon became clear that Illinois Field would not be adequate for the growing number of fans (UI Division of Intercollegiate Athletics). 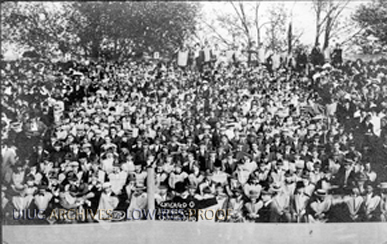 Illinois - Chicago Game Spectators, Oct. 15, 1910: Image courtesy the University of Illinois Archives Spectators look on as Illinois defeats Chicago 3 - 0 in the first homecoming game played at Illinois. This game was played at Illinois Field. Found in Box 1, Folder 101-201 Image Number: 127, Record Series 39/2/24. 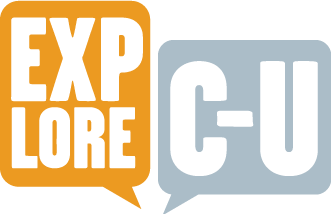 Sarah Christensen, “Illinois Field,” ExploreCU, accessed April 22, 2019, https://explorecu.org/items/show/257.